Get a triple dose of holiday sci-fi magic with all three novels, and discover how elven live on the North Pole, how reindeer fly, and what makes a snowman live. 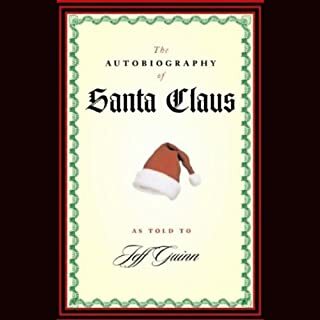 The Christmas stories you never heard as a kid. Sunny Grimm finds a strap around her son's head with an embossed symbol between his eyes. This is the mark of awareness leaping, where players launch into alternate realities and anything goes. Investors make millions. Critics, however, refuse to call it a game. They argue that reality confusion will end humanity. Labels aside, there are many who play. And many who lose. Sunny Grimm goes on a mad search for her son and the people responsible for allowing him to play. The only way she will find him is to not lose herself in the search. The Maze is more than a game. Drayton can’t leave the Lowcountry. He once believed he was a vampire when he terrorized villages and slaughtered for blood. Now he absorbs essence from the dying’s final breath and rarely stays in one place. He has been in the Lowcountry far too long. Everything is about to change. After witnessing an elderly man’s death, Drayton vows to protect his wife. He assumes the job of her gardener in Charleston’s historic district. But when a young woman named Amber enters the garden, he soon questions who he is protecting. And from whom. Jump on Santa's sleigh for a journey through 17 centuries of Christmas magic! Biomites are artificial stem cells that can replace any cell in your body. No more kidney failure, no severed spines or blood disease. No cancer. Pharmaceuticals become obsolete. With each dose of biomites, we become stronger, we become smarter and prettier. We become better. At what point are we no longer human? Jamie wants to be a halfskin. But Jamie's body is already 49.9% biomites. The rest is clay - her God-given organic cells. Any more biomites and she becomes a halfskin. And halfskins are shutdown. Tor Lir, the Nameless One, is unsure what he is. However, he knows he was born to bring balance to the powers of good and evil. Forsaking his birthplace and fleeing from suggestions of a dark knowledge he’d rather not discover, he decides to take his fate into his own hands. A chance encounter with a dead body, a dangerous beast, and a desirous creature lead him on the path to Paradise, where he senses imbalance. A god-gifted young woman is chosen for a grim task - one that will take her beyond the boundaries of her own world. Winter’s chilling visions of the future make clear that her choices will not only affect the success of her mission but whether those she loves will live or die. On the distant world of Hearth, Meluscia is the daughter of a dying king. As he wages a bitter war in the north, a growing evil devours the villages of the east. She would turn her kingdom’s forces to face the emerging threat - but first, she must gain the throne. Read this book! Right now! 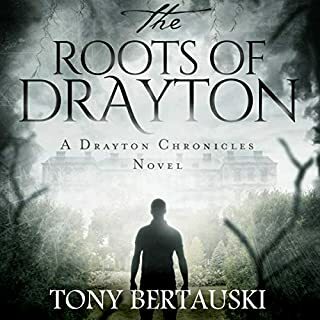 The Drayton Chronicles is a collection of novellas chronicling the evolution of a vampire. In "Drayton, The Taker:" Blake Barnes commits suicide by freezing on Mt. Hood. As his life fades, he assumes Death has come to him in the form of a young man. In his last moments, he asks Death to find his family, to tell them he's sorry. Drayton honors this last request as he absorbs Blake Barnes' waning essence. He travels to the Lowcountry of South Carolina to find his family. But saying sorry is not always as easy as the words imply. Wendy doesn't remember anything about Neverland or the experiments done on her there as a child. Seven years later, all she wants is a normal life, but shape-shifting shadows plague her dreams and turn her life into a waking nightmare. When the shadows attack at a football game and a boy disappears right in front of her, she realizes these wraith-like shadows are real. They're not just haunting, they're hunting. The classic far-future novel about the telepathic bond of friendship between human and animal from the grande dame of science fiction and fantasy. 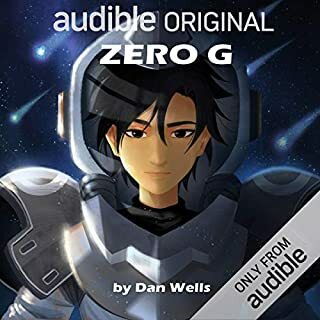 Exiled after his home planet was turned into a military outpost following an interstellar war, Troy Horan is relocated to the planet of Korwar. Under the watchful eye of the police state, he lives in the slums in a restricted area for sub-citizens. He works as a day laborer in an interplanetary pet shop and has no idea why the Terran animals have been imported to Korwar or why he has the ability to silently communicate with them. Dieter Harmon stared in shock at the sight of the hiker's corpse, the head hanging only by a tangled ribbon of flesh. But what horrified him were claw marks on the victim's chest. Something has gone terribly wrong with the government's plan to return wolves to Yellowstone. Deadpool meets Game of Thrones in this thrilling tale of demons, dragons and treachery. After Breed, a thief-assassin of small renown, is chased by a dragon, tricked by a demon, almost killed by a psychopathic gang boss and hunted by a ferocious spider, life really takes a turn for the worse. Sentenced to five years bonded servitude to a one-handed priest magician, Breed must find the hammer of the ancient hero known only as The Hammer of the North within a year and a day...or else. A gripping horror thriller that will leave you wanting more. 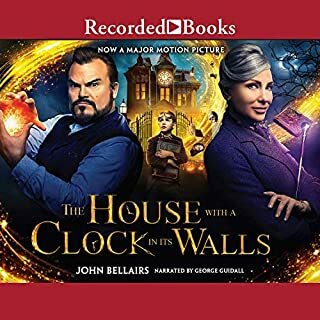 Start listening to the first book in this dark and captivating re-imagined series of the classic story of Hansel and Gretel. There is an ancient evil in the Back Country, dormant for centuries but now hungry and lurking. When it sets its sights on an unsuspecting mother one routine morning along an isolated stretch of highway, a quiet farming family is suddenly thrust into a world of unspeakable terror, and young Gretel must learn to be a hero. Dale Adams has worked hard to leave his troubled past behind for a brighter future at Emory University. But when he makes a discovery that will change humanity forever, avoiding the spotlight becomes the least of his concerns. And not all who notice want Dale to be successful. Or even alive. As Dale's world collapses around him, his fate intertwines with that of a girl he hardly knows. Their only hope for survival is to disappear into Atlanta's seedy underbelly, the very place Dale has tried so hard to leave behind. When Kandi’s dad gets a mysterious call, they fly to a tropical island where the buildings are enormous and the rooms empty. Despite the heat, his sunburned client wears a heavy cloak. Kandi meets a boy living all alone in one of the empty resorts. When he goes missing, she enlists the help of the technological wonders that haunt the island to find him. What she uncovers is a much deeper mystery that will affect more than just Christmas. The world doesn’t know it yet, but Santa Claus is missing. Kandi knows where he is. 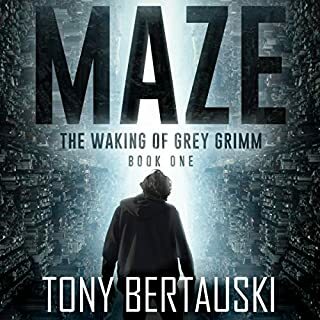 There are retellings and back stories and then there are •masterpieces• Tony's books are a work of stellar creativity, science fiction, sound plots, and characters that ROCK. 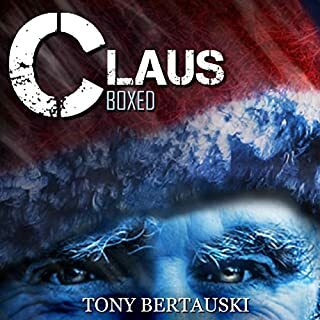 This holiday book takes us to an island with incredible new characters (for those who have followed the saga) as we delve into another chapter of Tony’s incredible imagination. Claus and several of the characters from that book reappear, with dapples of their backstory. More science and technology are added, mixed, and mingled. Science fiction is flawed when a reader gets lost or the plots are convoluted. The Rise of the Miser will whisk you away and time will slip by without you noticing! My favorite character was a side character, the Sandman. Seriously, when is a toy maker going to create these things?! Actually, Idk if I really want an inanimate object, but he totally should have a book devoted to him. Or something. This is not a cozy Christmas book. It’s deep. It’s page flipping (I read the book, too!). It’s rivetingly captivating and unimaginably creative beyond words. There’s light fluff and then there’s mind blowing blizzard effect. Despite the tropical scene, you can’t guess how it ends! Highly recommend for those who know a book is worth the risk of neglecting real life for a spell.